Following a few days of excited build-up, Planetary Resources, a new space startup backed by heavy hitters including Larry Page and James Cameron, officially announced its plans to mine asteroids near Earth. At the Tuesday morning event, which took place at the packed Space Gallery in the Museum of Flight in Seattle, the company said it would launch phase one of its mission within two years and use the next decade to just identify resource-rich asteroids. Eric Anderson, founder of Space Adventures, took the stage to talk about the mining plan in more technical detail. How valuable is an asteroid? What is the plan for actually mining these near-earth asteroids? These asteroids “have existed for literally billions of years and have some of the most valuable materials we will need for the future of space and for future of earth,” said Anderson. There are two types of resources that the company wants to access: water and platinum metals. The line of spacecraft that will make this sci-fi dream a reality is called the Arkyd line, which are being developed in phases, starting with the 100 series. These will act as specialized telescopes to prospect and identify the right asteroids. Later versions will be used to extract the resources. Planetary Resources’ president and chief engineer, Chris Lewicki, discussed the technology, the spacecraft, and the people on his team. Lewicki gave a few details about the series of custom space telescopes the company will be using to identify resource rich asteroids, starting with the 100 series, which he described as a personal space telescope. The 300 series will be used later in the process for direct targeting. In one of the events most touching moments, Lewicki thanked the people who helped make the project happen. “We’re building a new kind of company, a new kind of spacecraft team,” said Lewicki, who visibly choked up while talking about the staff, investors, and advisers on the project. His eyes welled up as he mentioned all the recent excitement about the company in the press. Tom Jones came to the podium to introduced the audience to the different types asteroids. Jones, a planetary scientist and former NASA astronaut, is an advisor to Planetary Resources. One asteroid is the size of Seattle of Manhattan. 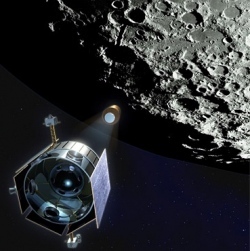 The company will find the right types of asteroids by looking at the color of their reflected light. A special guest made an appearance over the phone from Texas, Ross Perot Jr., who has an extensive history of flying in addition to his more well-known business successes and political failures. Perot is one of the investors in the Planetary Resources. Finally, another investor, Charles Simonyi, touched on the financial angle, including a shout out to Pets.com. Simonyi is Chairman of Intentional Software Corporation. He discussed having looked at the “astronomical numbers” involved with supporting humans in space, and saw that it was the mass of the materials being shipped to space that mattered, not what the material actually was. Water costs the same to ship to space as expensive photographic equipment. Being able to access water in space would change everything.